A national campaign that provides fresh produce to city neighborhoods for free has come to Chicago. CHICAGO (WLS) -- A national campaign that provides fresh produce to city neighborhoods for free has come to Chicago. The Crop Circles Food Desert campaign brings fresh fruits and vegetables to residents living in so-called food deserts. 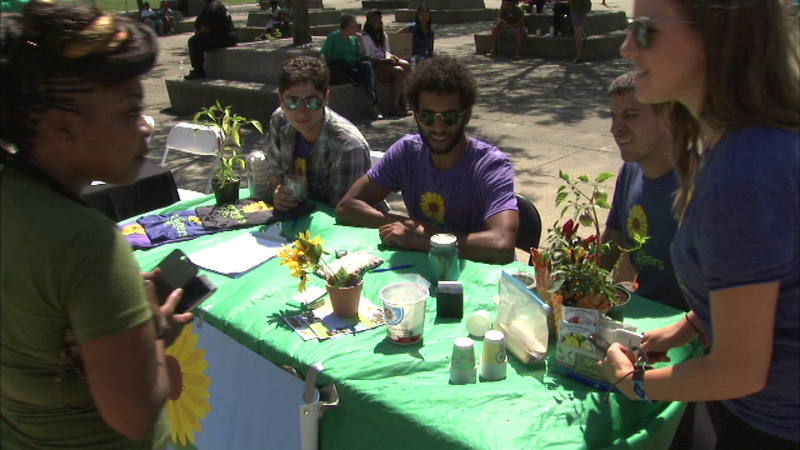 Saturday's Pop Up Farmer's Market was brought to residents in the Englewood community.